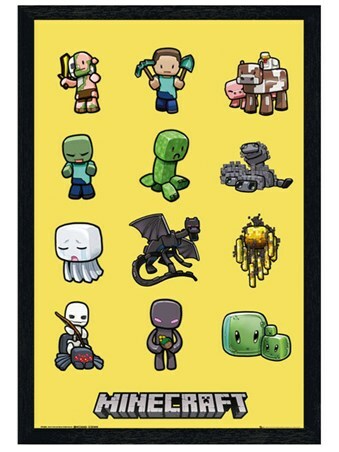 Children's Maxi Poster: Do you love Mine Craft? 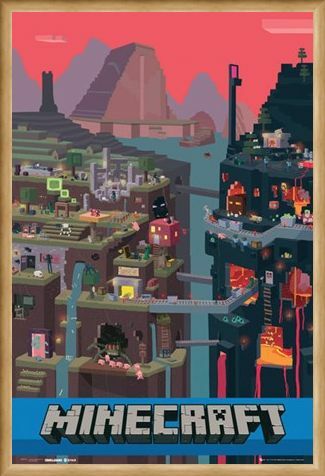 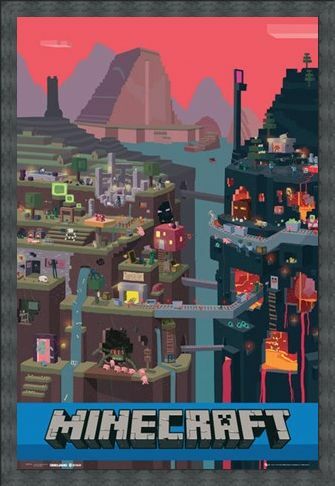 Then why not get some inspiration for your very own three dimensional world with this awesome maxi poster which shows a block based metropolis from the sandbox sensation. 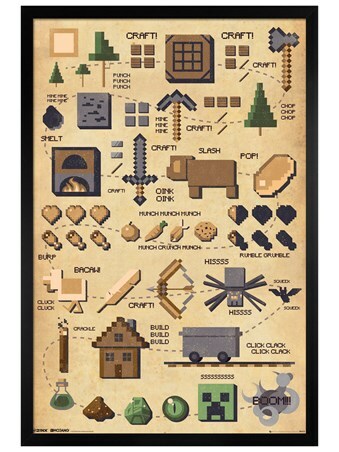 From massive mountains to detailed garden shrubbery, this poster will leave you full of ideas as you try to survive in this world of exploration, adventure and creativity. 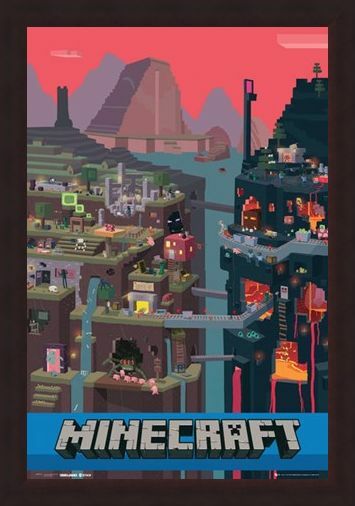 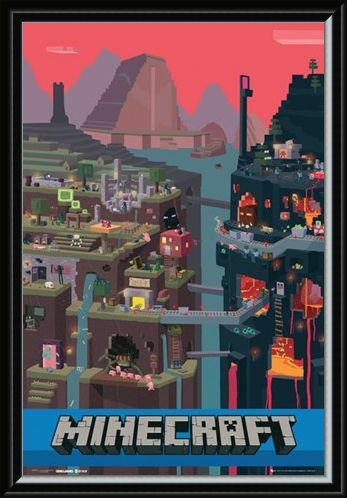 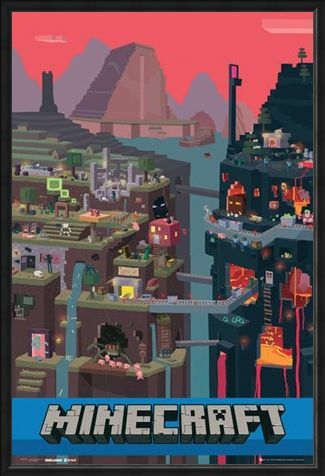 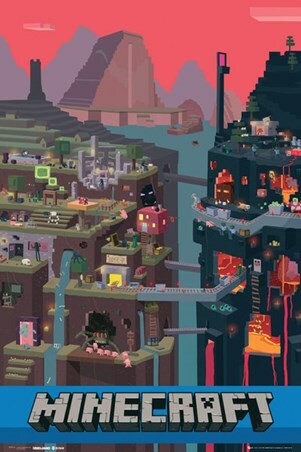 With the name of the game in concrete blocks across the bottom, this poster is perfect for fans of Mine Craft. 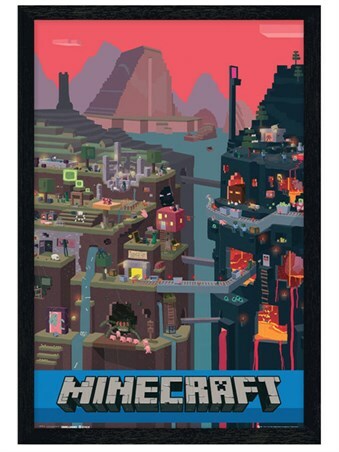 High quality, framed Minecraft World, Minecraft poster with a bespoke frame by our custom framing service.